Did you know ? 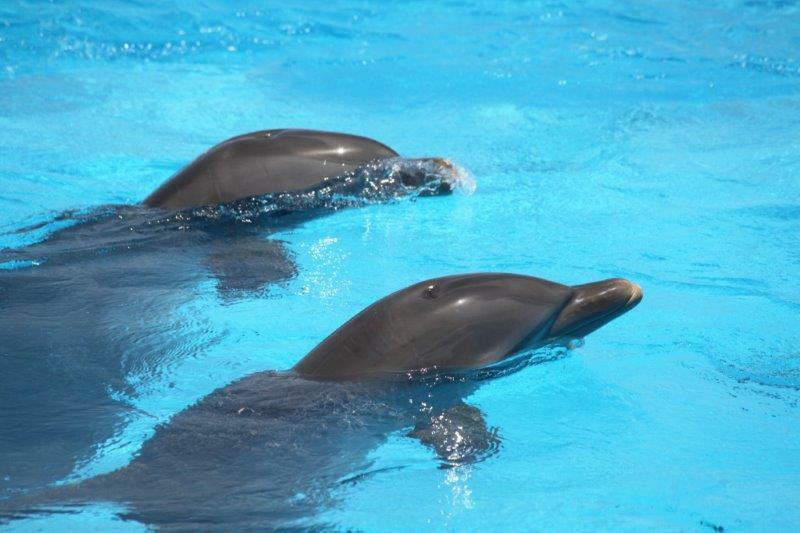 Bottlenose dolphins, the genus Tursiops, are the most common and well-known members of the family Delphinidae, the family of oceanic dolphins. 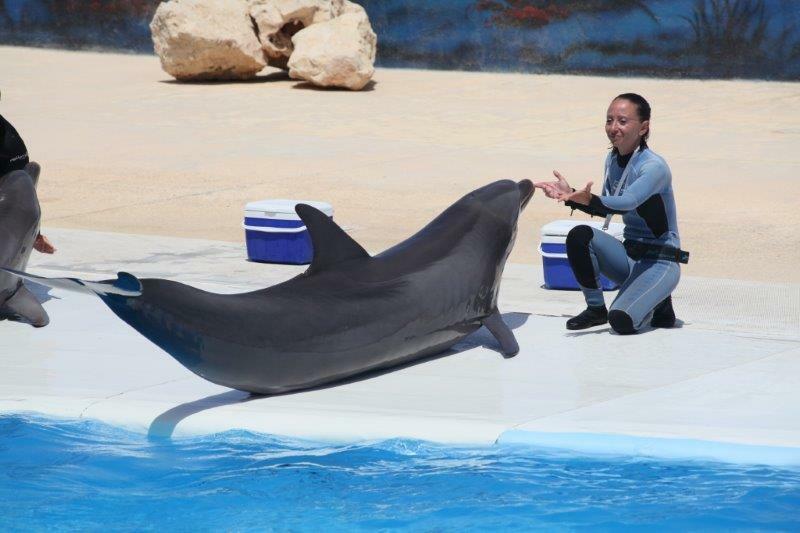 The Marine Park’s Sea Lions, all have different personalities. 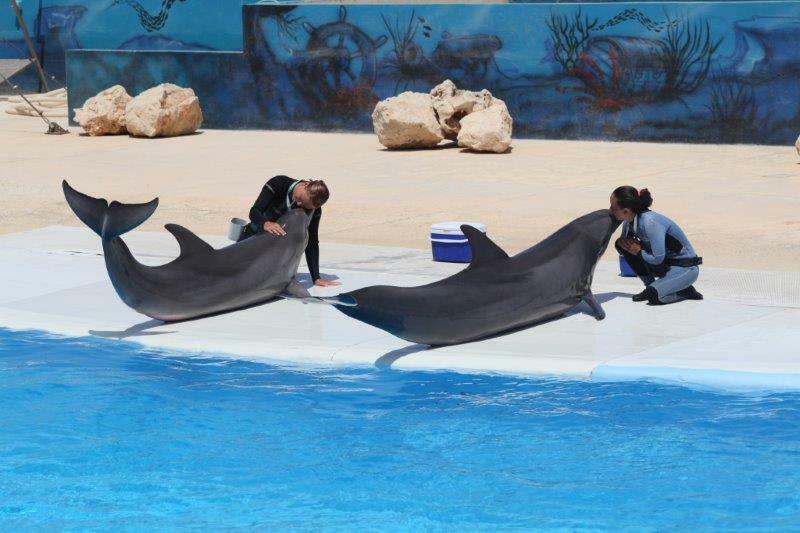 Sea Lions are trained by the Park’s trainers using the positive reinforcement technique which allows the Sea Lions to perform in front of audiences without the need of any form of restraint. 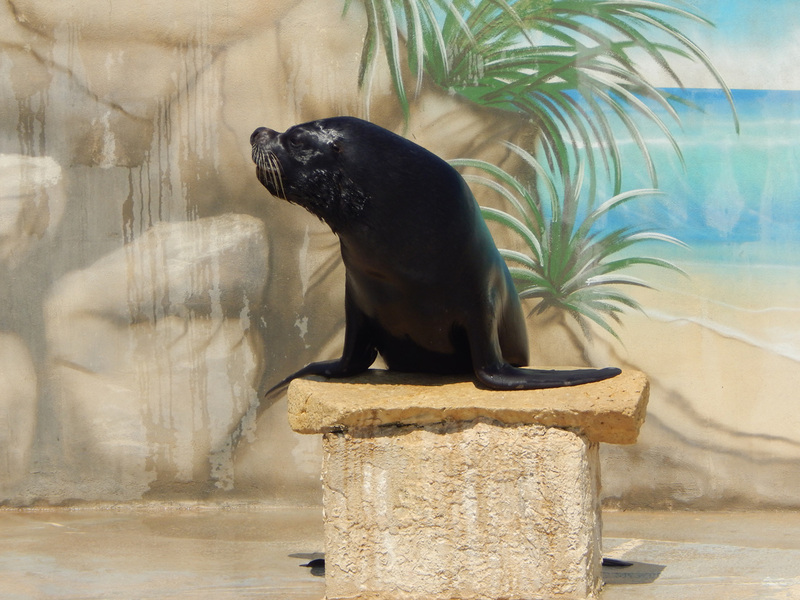 The Sea Lions at the Marine Park are fed a mixture of sprat, herring and capelin. 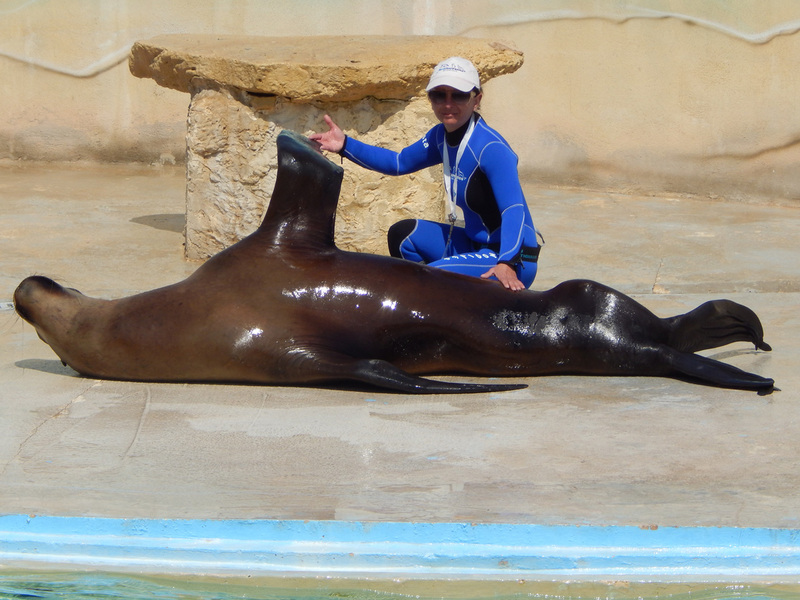 The male Sea Lions have a very large head with a well developed mane and they can grow to twice the weight of females. 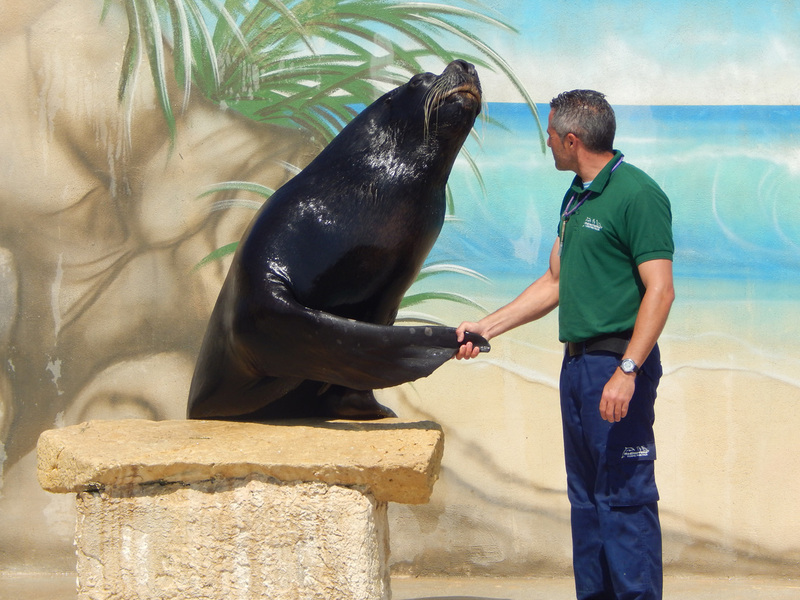 Guests can enjoy a close encounter with these wonderful Sea Lions during a 15 minute dry interactive and informative Sea Lion programme led by the experienced trainers of the Park, you will have the possibility to stroke and if you are lucky be kissed by one of the fabulous Sea Lions. Did you know ? 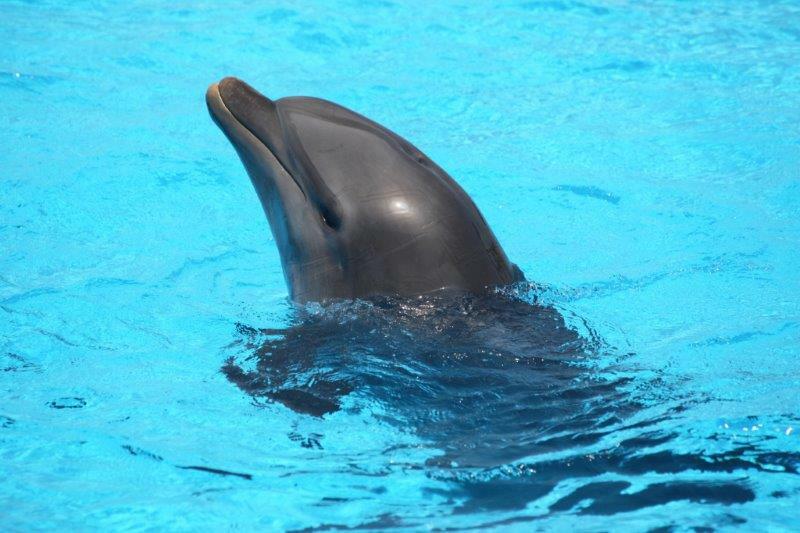 Sea Lions are any species in seven genera of modern pinnipeds including one extinct species – the japanese sea lion. 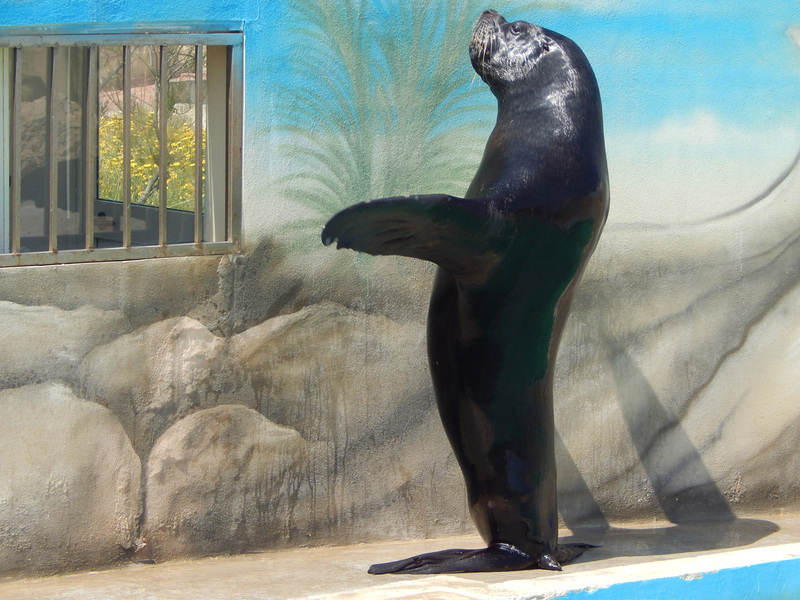 Sea lions are characterized by the presence of external ear pinnae (ear-flaps), long front flippers & the ability to walk on all four flippers on land. 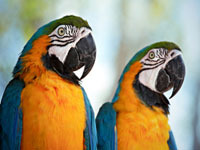 WHY ARE PARROTS SO GIFTED? LEARN MORE ABOUT THESE AMAZING BIRDS. This is your chance to learn more from the experienced trainers of the Park who will introduce you to the characteristics, habitat and food of Parrots as well as their protection due to hunting and deforestation. Guests can enjoy a 15 minute interactive and eductaional programme and participants to this programme will surely enjoy the parrots revealing their colours and sounds besides having the opportunity to touch these beautiful birds. Participants for the Parrot Interactive Programme must be over 6 years of age. 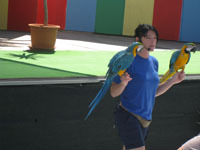 Note that the price of the Interactive Parrot Programme also includes FREE entrance to the Park and the 3 daily shows/presentations. Did you know ? 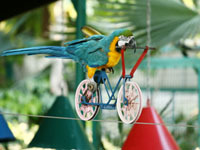 Parrots, also known as psittacines (pronounced - sittasainzs), are birds of the roughly 372 species in 86 genera that make up the order Psittaciformes found in most warm and tropical regions. The order is subdivided in three families: the Psittacidae ('true' parrots), the Cacatuidae (cockatoos) and the Strigopidae (New Zealand parrots). 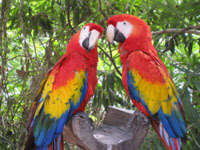 The greatest diversity of parrots is found in South America and Australasia.